Yum! Brands, trading under YUM, is making new all-time highs this morning into a soft tape. The firm operates the brands Taco Bell, KFC, Pizza Hut, and WingStreet worldwide, with a China spinoff in recent years trading under the ticker YUMC. Back int he 1980s, YUM's Taco Bell had a commercial campaign and slogan which probably would raise too many eyebrows in today's world: "Make a Run for the Border." 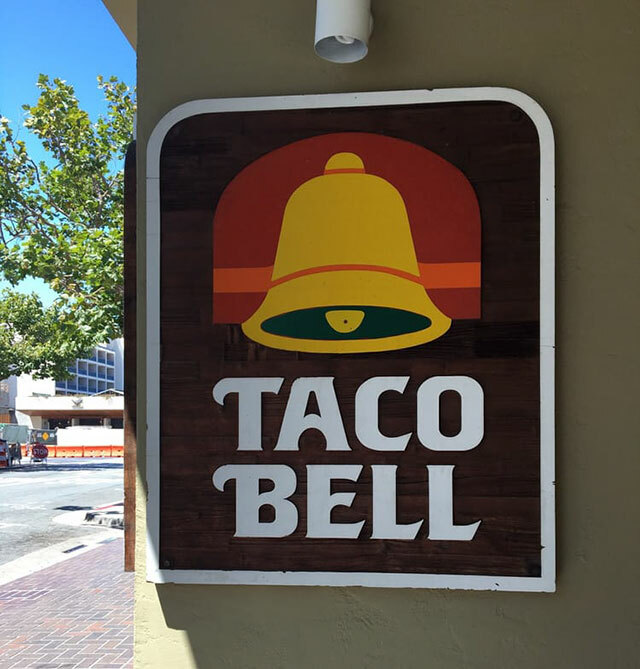 But even with an outdated slogan, the firm did what it needed to do in recent years to revamp its Taco Bell and KFC franchises, especially. 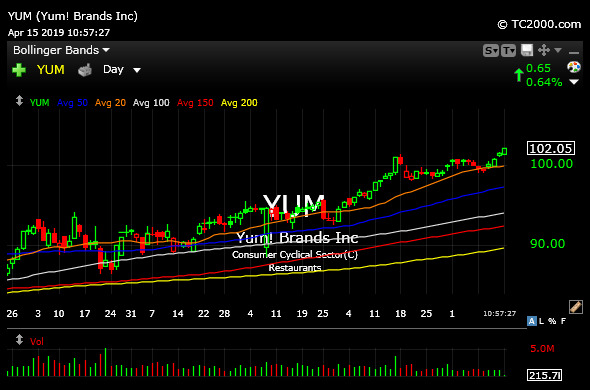 As you can see on the YUM daily chart, there is nothing to dispute from the bull case, though I still prefer WEN as a risk/reward long play on longer-term timeframes. Going forward, it will be interesting to see if smaller fast food and fast-casual plays like TACO HABT SHAK WING can hang with monsters like MCD YUM, even WEN, obviously executing at very high levels.